Which river runs through Perú? What US state is composed entirely of islands? What is Europe's largest country by area? And what is Europe's largest country by population? Which country does not have coastlines on the Mediterranean Sea? Africa's largest country by area is _____. The contiguous United States consists of _____ adjoining states. Congratulations, you just smashed this geography test. You're a lifelong learner, and at the top of the pile when it comes to general knowledge. The best thing about you is that you’re humble. You actually know much more than you think. SHARE your score with everyone you know. You really flunked this one. You're definitely not a geographical genius. Are you surprised? Let us know in the comments, and SHARE this geography drill to test your friends. 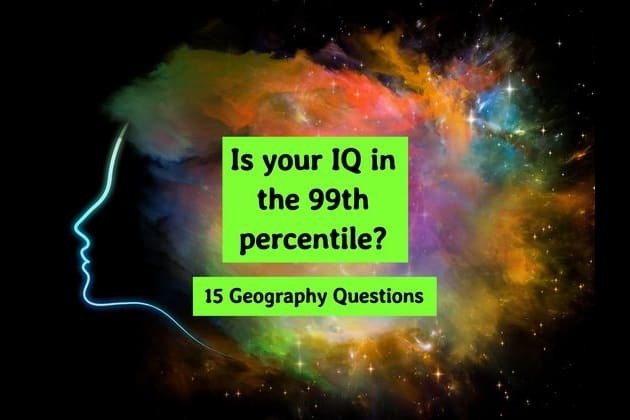 By the way, only 3% of people can score more than 8/15 correctly.